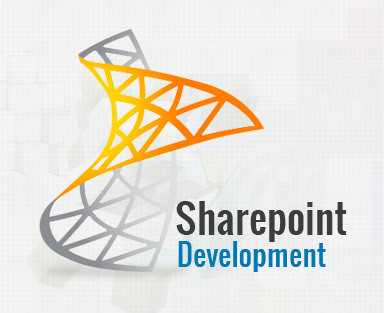 At Adaptative, our experienced team of Share Point development commits to fulfil your share point business requirements. With its experience of working for various different kinds of businesses which are of every size and shape and from across the globe and well ingrained knowledge and adept skilfulness, our team is always ready to face every kind of challenges. We are always determined to provide you with best of services and solutions. Strictly adhering to the quality standards we build stunningly user friendly interfaces and look forward to provide you with best of website development solutions that get you maximum benefit. SharePoint is a remarkable way to create Intranets which proves really beneficial in providing you with better team engagement. And our team knows the secret of creating most powerful SharePoint Intranets that will help your business team to always stay in touch and work together anytime anywhere. This proves conducive to your business growth and in keeping your company secrets intact. Building Share point Intranets not only provide you with an easy to use internal website making it easier for you and your team to share and organise information but also offers you to create a web based system that can be used most flexibly for various useful purposes. And at Adaptative, we have a dedicated team that not only helps you in building Share Point Intranets but also provides you with most powerful and flexible web based systems that gives you maximum benefit. This also gets quite a bit of online branding for you or your company or simply your product/services. Our services include: creating environments such as Intranets, Extranets, Public Websites and Customised Applications; User Interface Testing for Graphic Optimisation; Branding Strategy Integration and special Branding solutions with 2010 suite of the platform; Website Branding Solutions; Customised Theme Development for your Branding Objectives; Social Media Integration for LinkedIn, Facebook, Twitter, Pinterest, and the likes; Developing Brand Adaption Design Concept; and Administrating Control for Website Manager to handle Personalised Policies; and so on. We, at Adaptative don't just focus on providing you with a fixed set of services, but with our team always on a knowledge and skill enhancement spree gladly announce regular addition of newer services and solutions for you. You can always look to us for most flexible solutions that fit your needs and resources and get delivered in quickest possible turnaround time along with proper customer care and after sales services.